Standard 3D seismic data recorded into traditional vertical geophones can produce an SV-P converted-wave data volume. However, there is a challenge in resolving both the statics and velocities while separating out the SV-P image from the P-wave portion of the data. The primary difficulty is in resolving the velocity and statics associated with the signal of interest, SV-P, which is buried in the slower velocity and deeper time portion of the seismic P-wave record. In other words when looking at a gather in offset order and moved out with a P-wave velocity, you will often see many under moved out events and more of those events with increasing time. This is the portion of the gather that has always been referred to as containing noise, coherent noise, multiples, and mode-converted responses. This presentation looks at a real-data example which took advantage of using the traditional P-SV processed converted-wave-stack velocities and statics as the basis for looking for the SV-P equivalent stack. In particular, if we know the velocity field and the final P-SV stack from traditional converted wave data, can we successfully resolve statics and velocities to create the SV-P image? This data example shows it can be done. Bruce Karr, Technical Sales Manager for Fairfield Seismic Technologies, has worked for FairfieldNodal since 1994 as a Geophysicist. Mr. Karr’s processing expertise includes 3D and 4D multi-component land data, with particular focus on geophysical problems including long wave length statics, spectral enhancement, noise, depth-time issues, multi-component data and field technology. 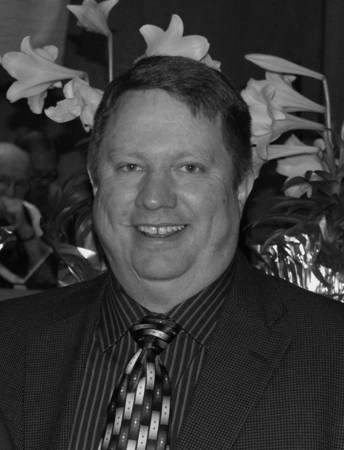 Mr. Karr received a BS in Geophysical Engineering and a minor in Geology from the Colorado School of Mines in 1988, and began his career with GSI shortly after graduation. After two years of field work in Saudi Arabia, and after GSI was purchased by Halliburton, Mr. Karr was transferred to Midland, Texas, where he began processing seismic data. By the early 1990s, West Texas was a prolific region for 3D surveys, and Mr. Karr learned his trade on 3D projects in the Midland and Delaware basins. Five years later, after Halliburton sold their geophysical services, Mr. Karr moved to Denver to begin work for Golden Geophysical, which was later purchased by Fairfield Industries.